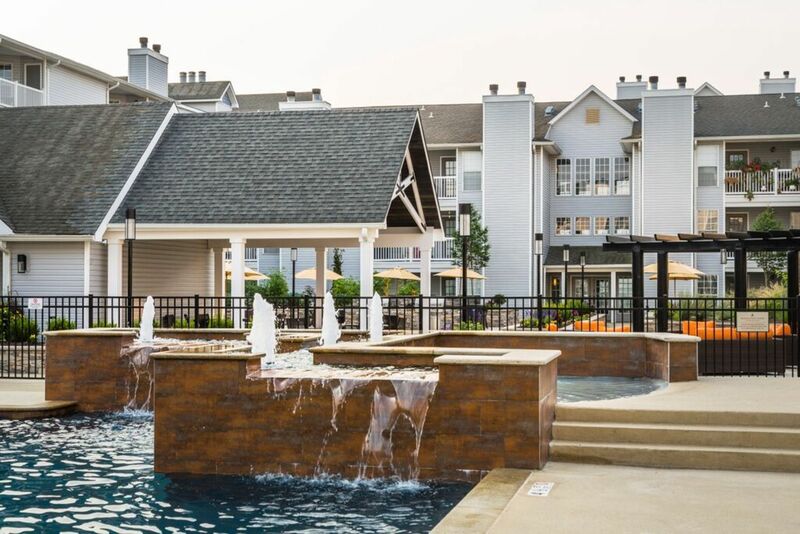 Discover a luxe lifestyle amid thirty-one acres of garden-like scenery at Mountain View Crossing. 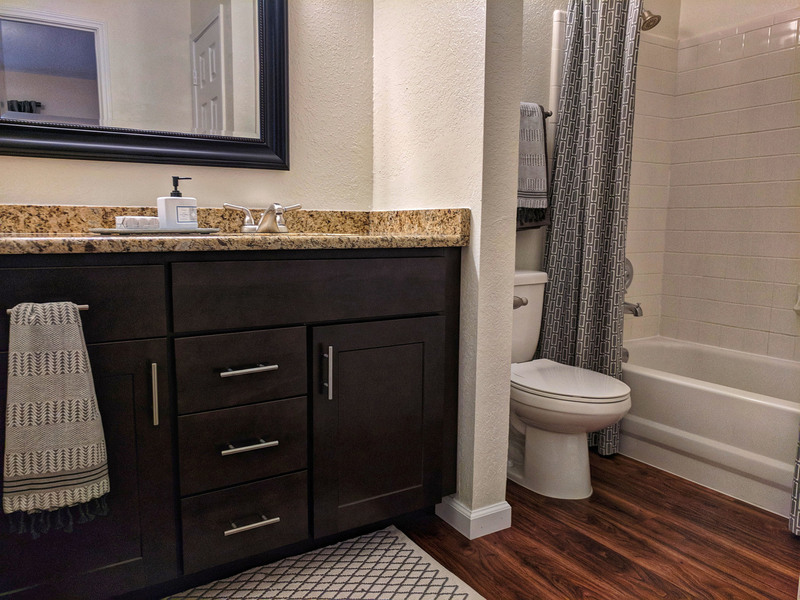 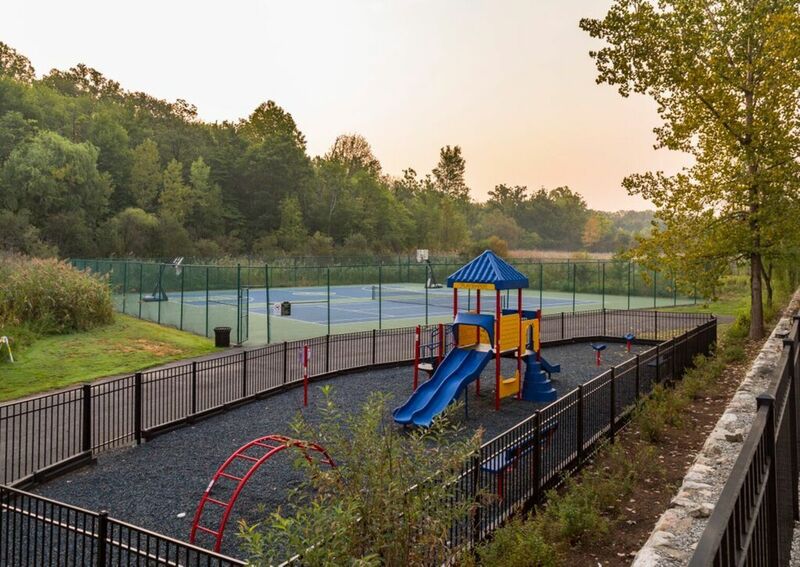 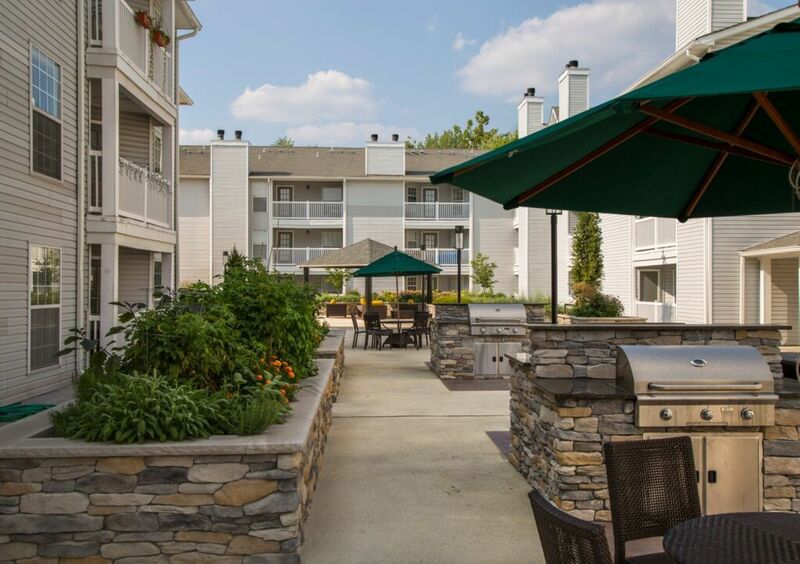 This quiet community provides a peaceful setting while placing you only twenty miles from the frenetic pace of Manhattan. 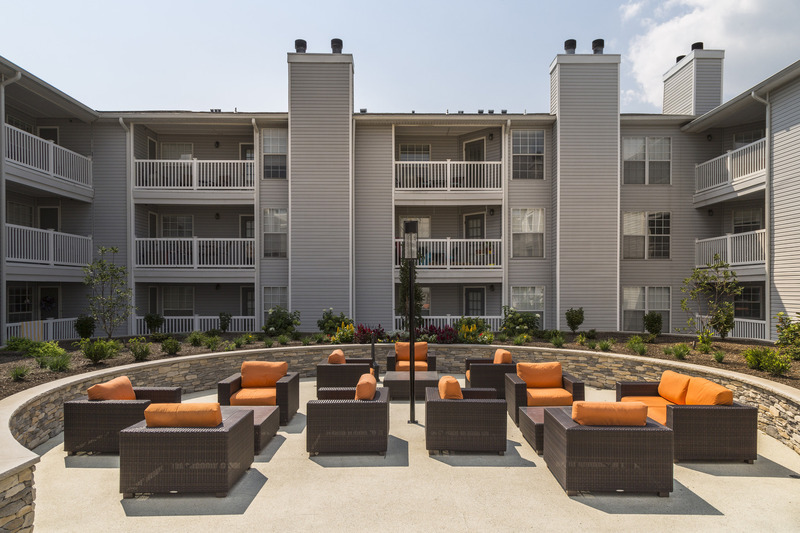 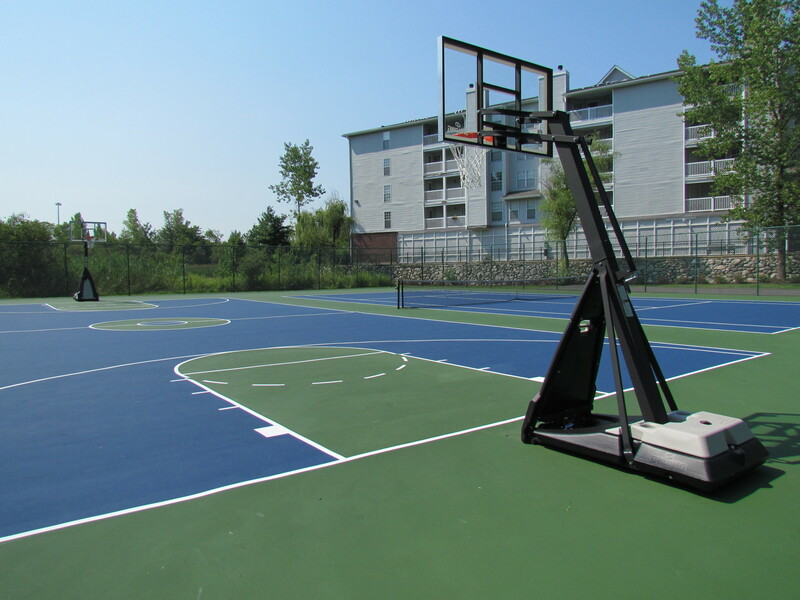 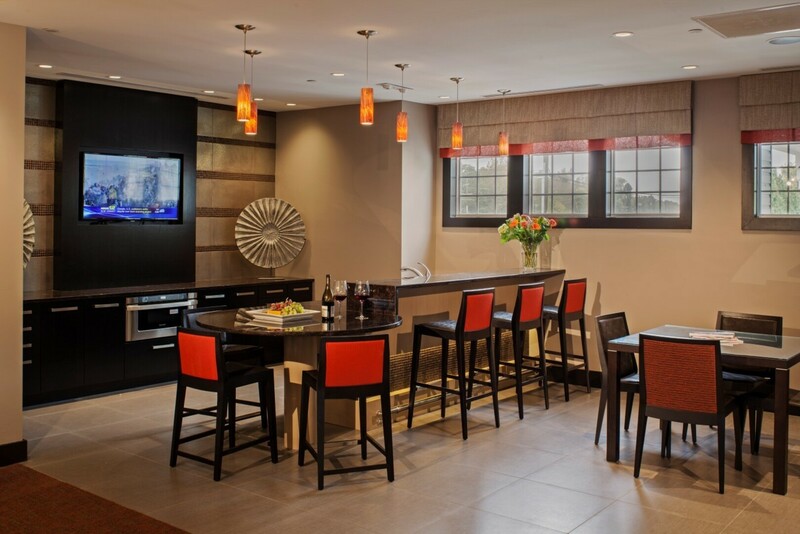 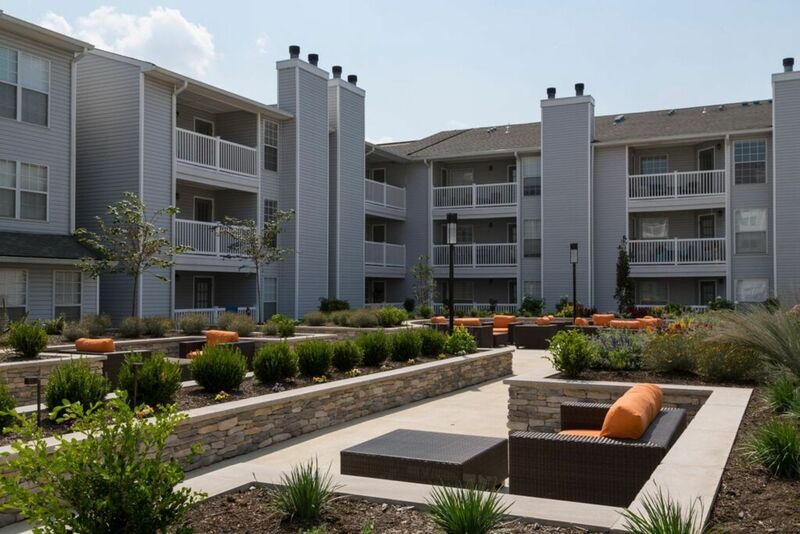 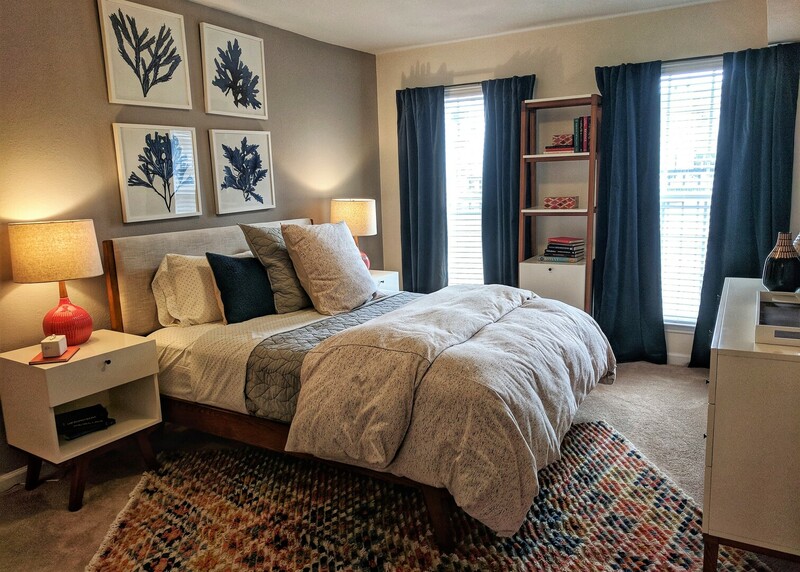 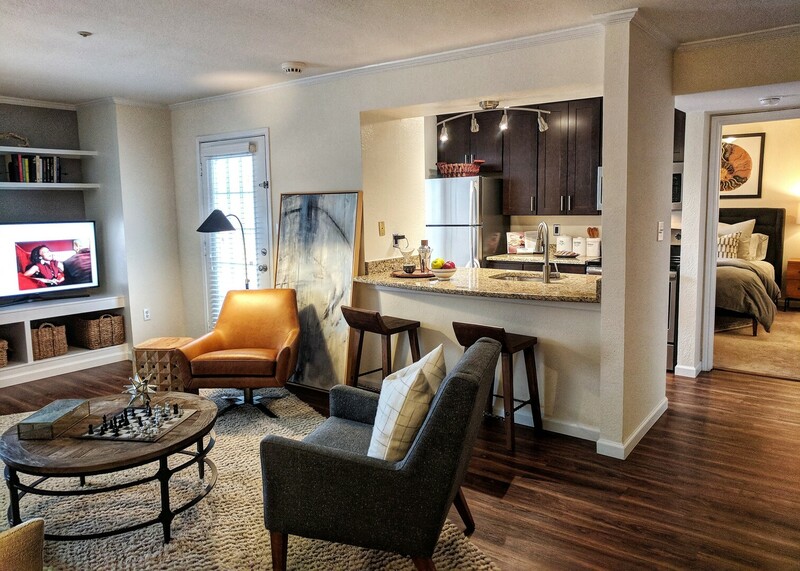 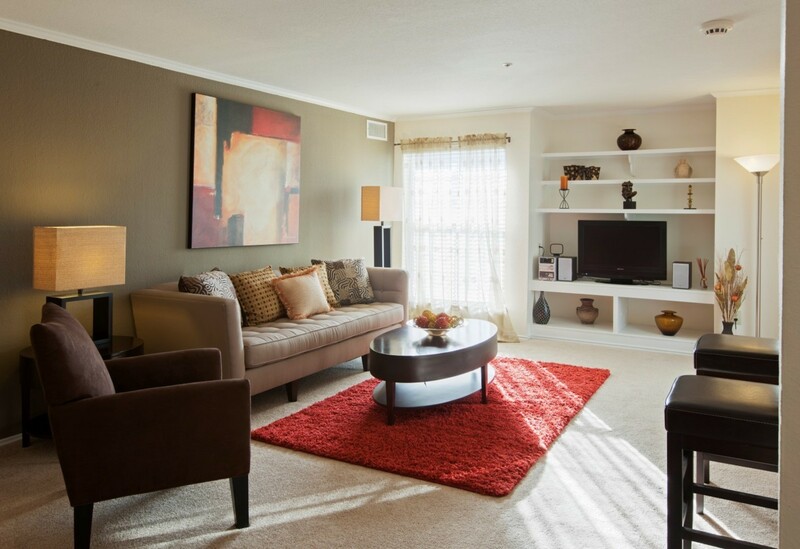 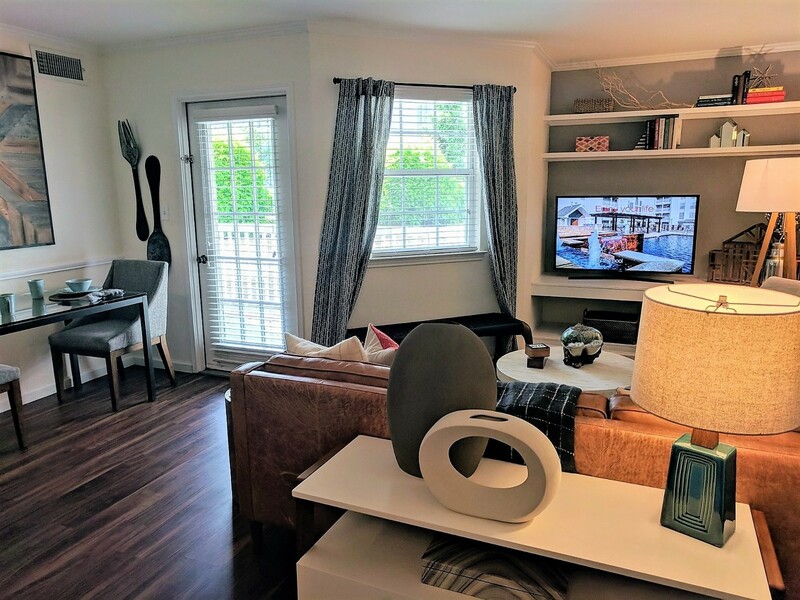 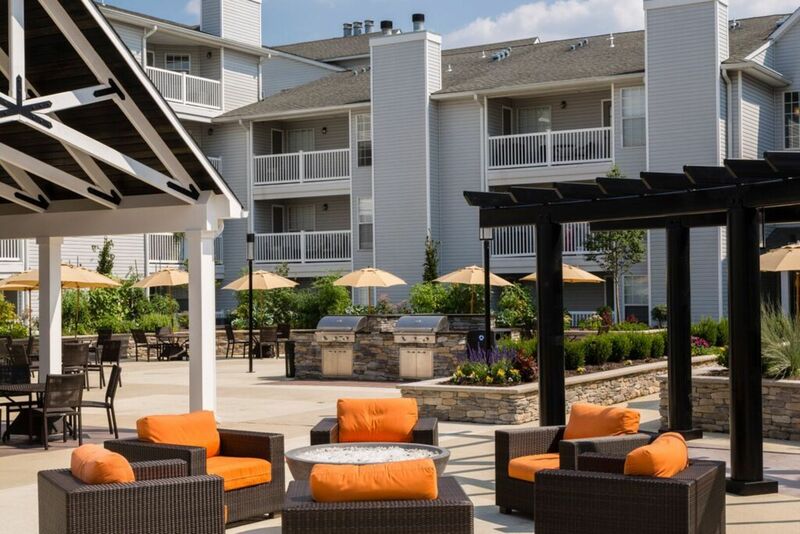 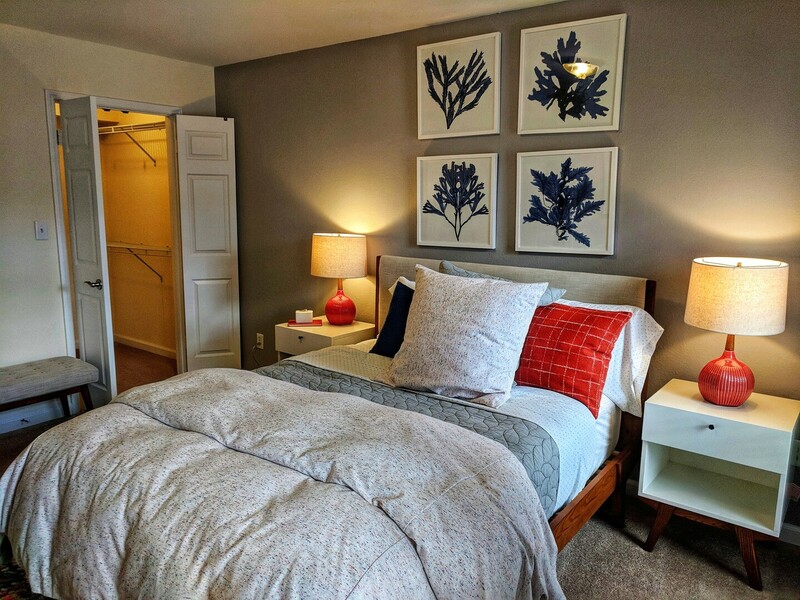 Enjoy a few images of these Wayne, NJ apartments, and then schedule a tour to see the community for yourself. 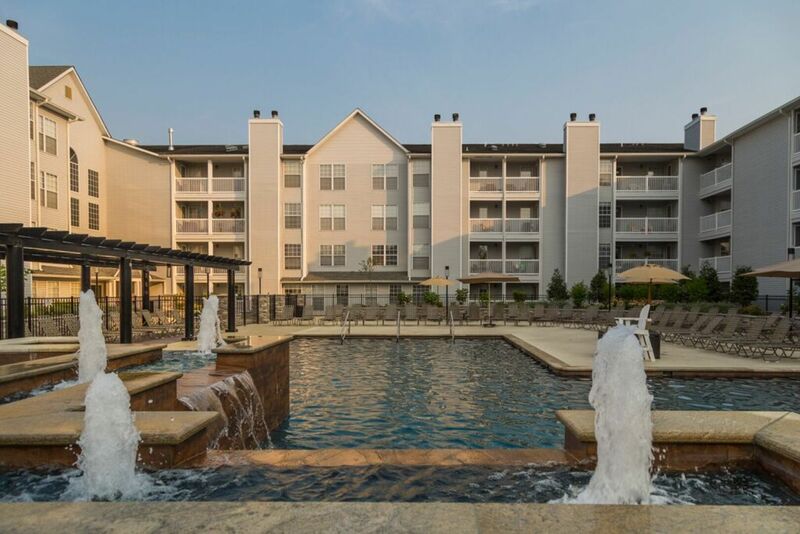 Pool – Visit the resort-style pool with everything from open space for swimming to attractive fountains. 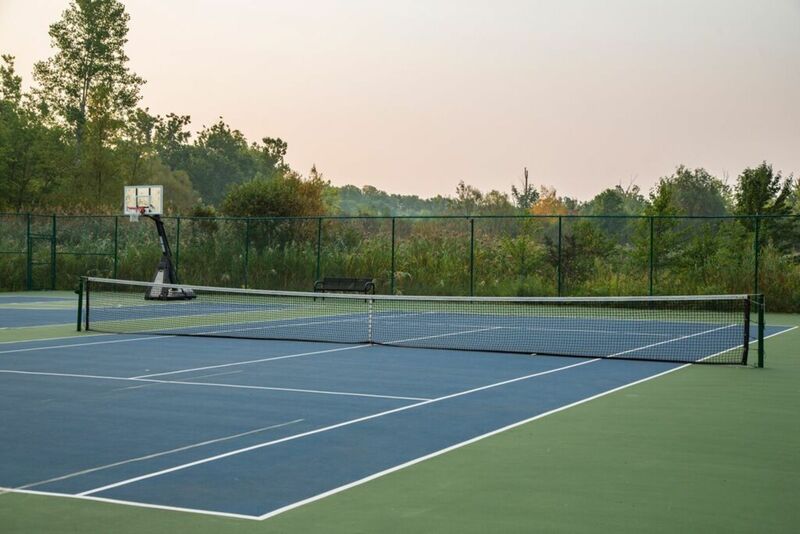 Tennis court – When you’re up for a game, the regulation court is here for you. 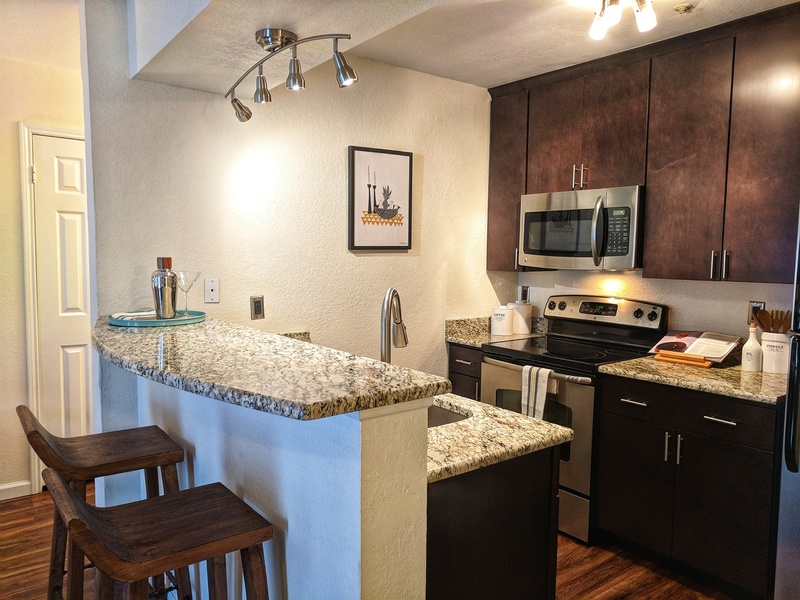 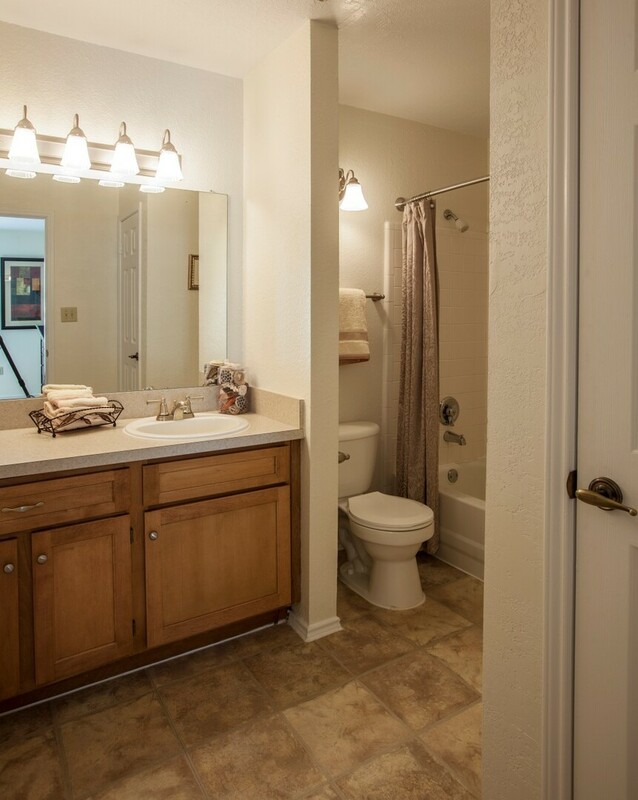 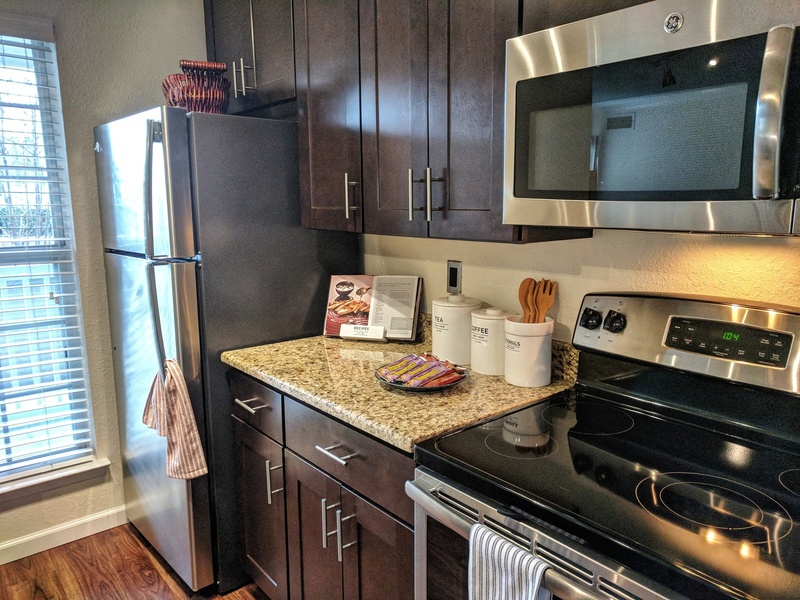 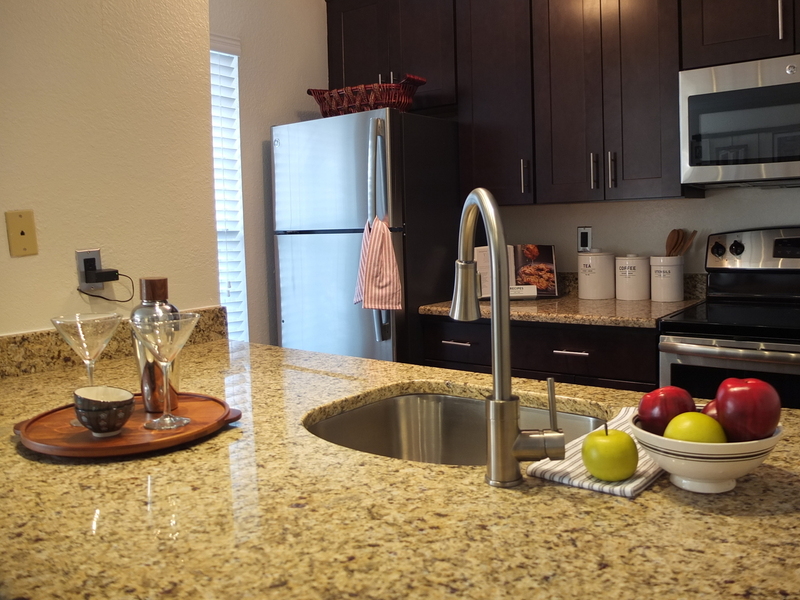 Kitchen – You’ll love the stainless steel appliances, built-in microwave and informal breakfast bar. 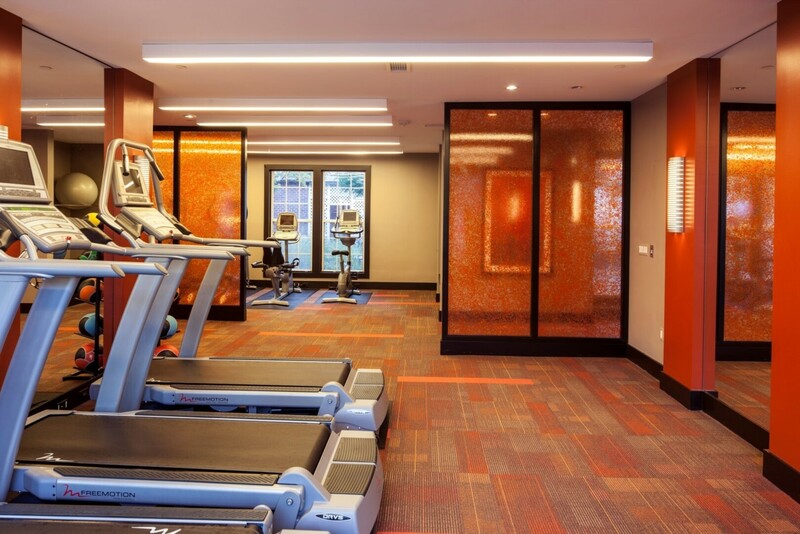 Fitness center – Enjoy a workout with both weight and cardio rooms. 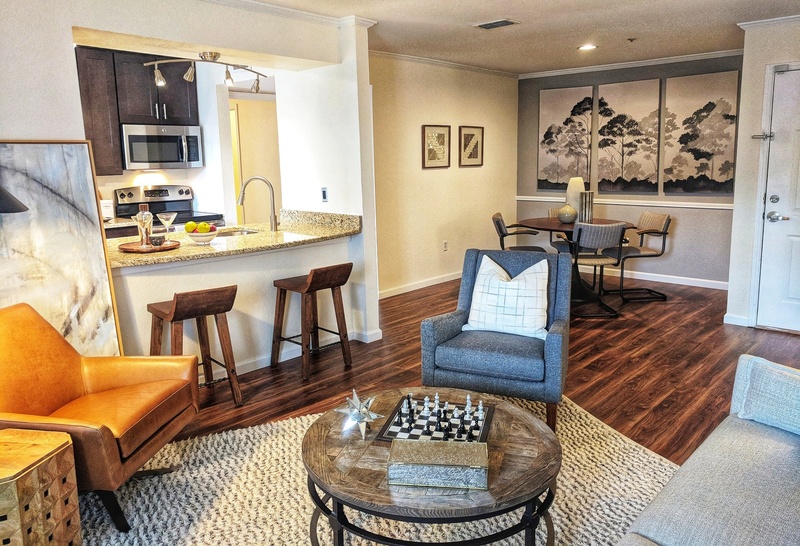 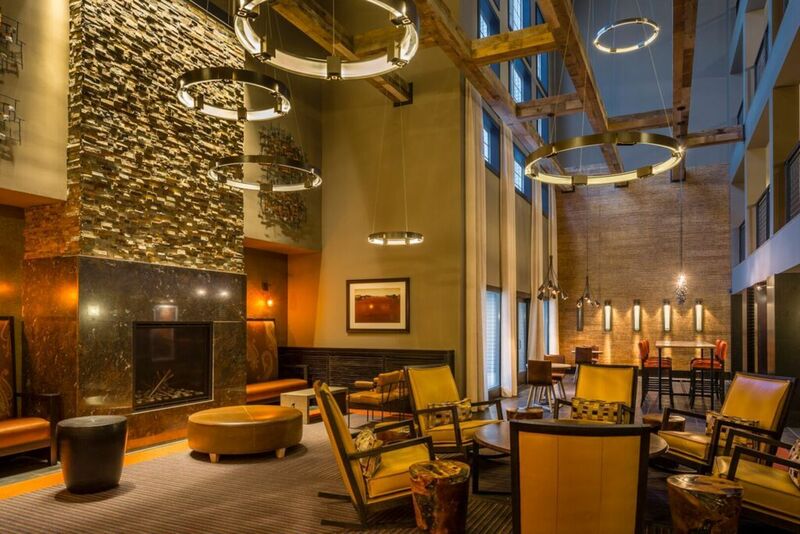 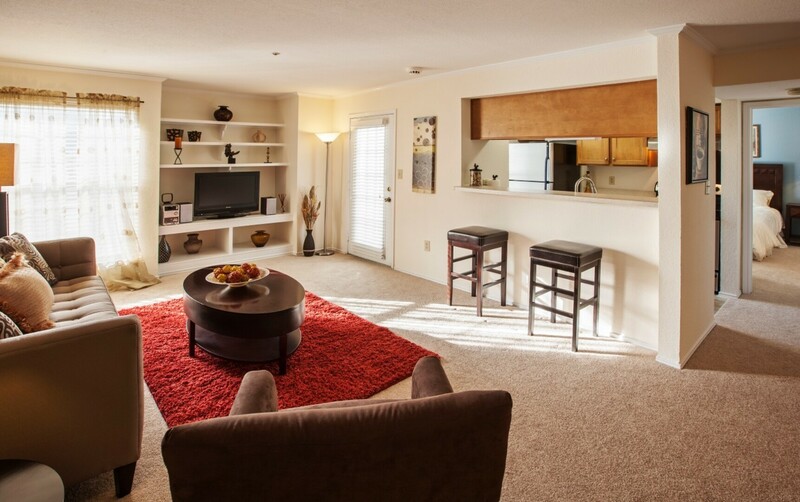 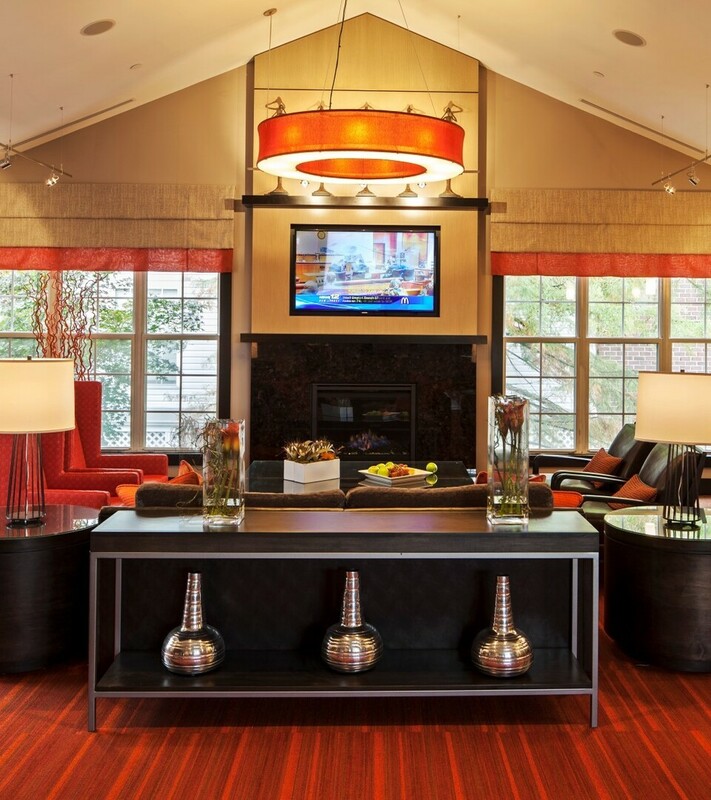 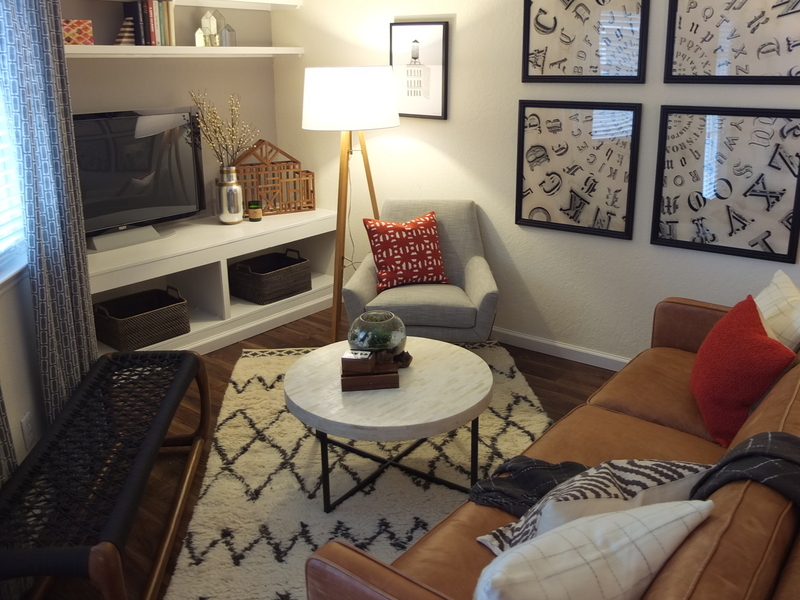 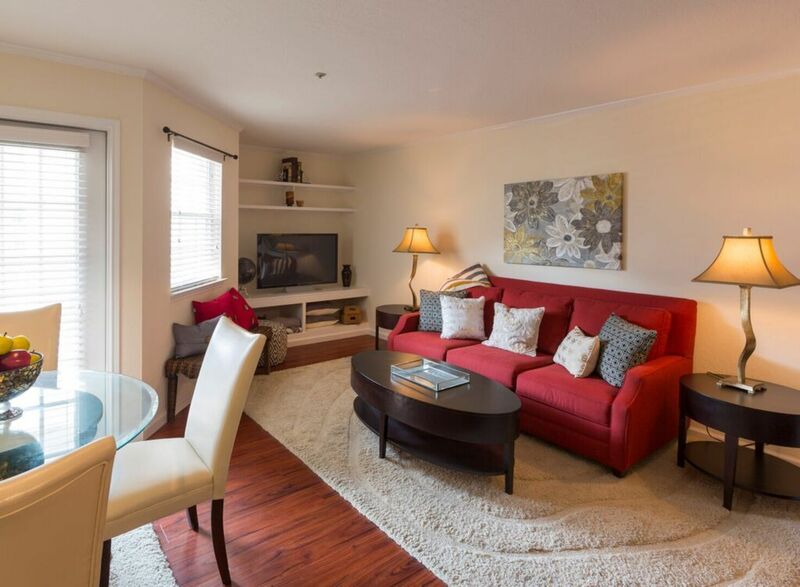 Resident lounge – The modern clubhouse has a fireplace, TV and ultra-comfortable furniture. 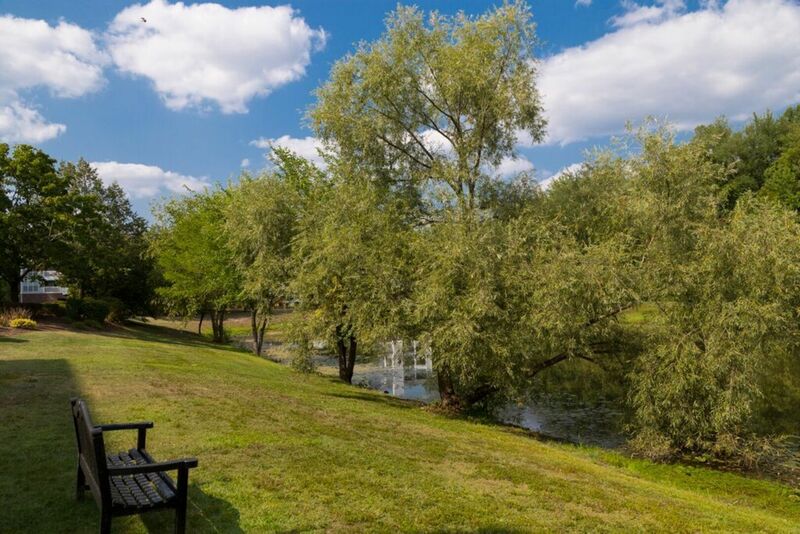 Business center – Stocked with iMac computers and more, the business room provides a spot to focus on school or work projects. 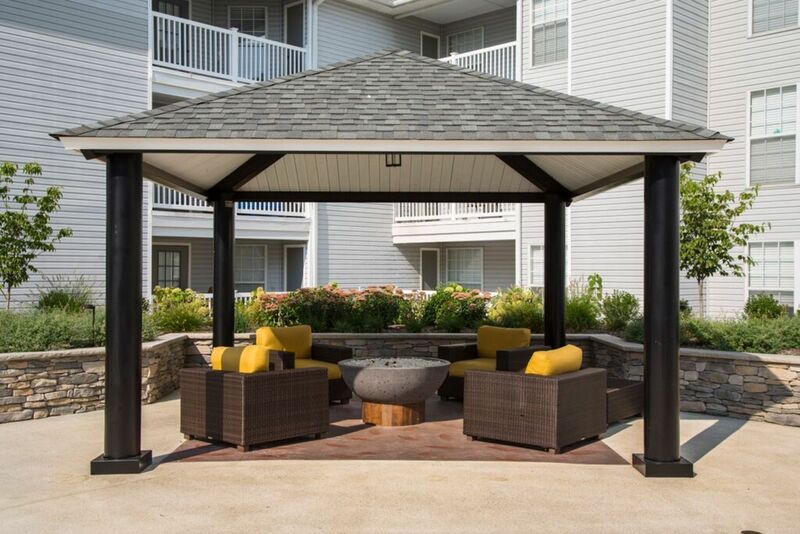 Fire pit – Even in cool weather, stay warm and chat with friends around the fire pit. 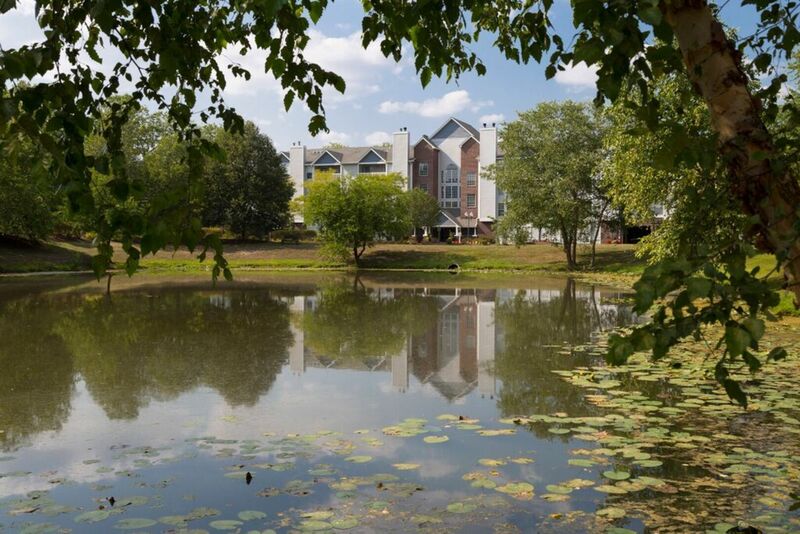 Garden and pond – Explore the community’s thirty-one acres of natural beauty.